Own the night in this show stopping long dress 19203 by Flair. 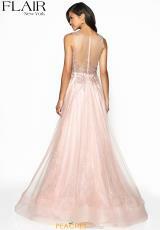 This glamorous style showcases a high neckline with an illusion sweetheart neckline and an a line silhouette. 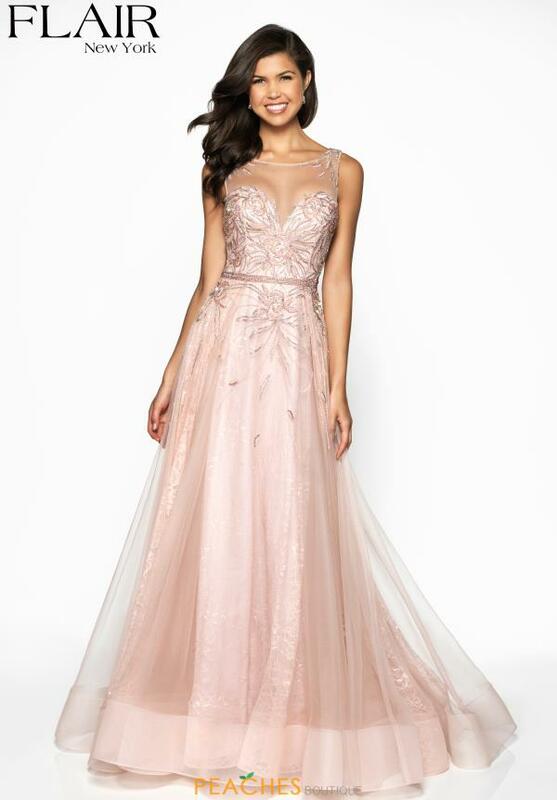 Stunning lace appliques are embellished in the bodice and skirt for perfect detailing as a thin beaded belt adorns the waistline for a flattering effect. For more styles by Flair visit Peaches Boutique in Chicago.